Do they work full or part time? I am a full time agent. I work all week, evenings & weekends! How long have they been working in this particular area? I've been selling homes from the beaches to West Mobile for 3 years. How much business comes from repeat customers/referrals? Oh, I get many referrals from past Clients. I believe relationships are more important than the "deal"! Testimonials! How many homes did they sell last year? I average at least 45 sales per year. Above all you should choose an agent that you feel comfortable with. 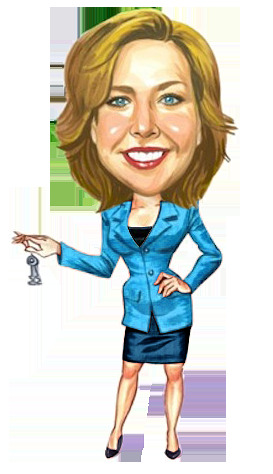 I will be your guide through the entire process of buying or selling a home, & will be a valuable resource. I would love to hear from you and have the opportunity to discuss why I may be right for you. You may also find it worthwhile to explore my website www.REchick.com. It has plenty of information to cover your real estate needs. My site allows you to perform very detailed searches using search fields typically reserved only for real estate agents, so it's a great place to start. Text, call or e-mail me anytime with your real estate questions. I would be delighted to help you make the process of buying or selling a home a really smooth one. Your online registration info is NEVER shared and you may cancel at any time!